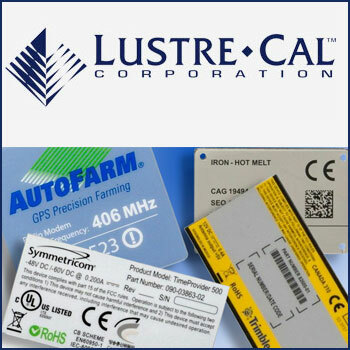 A Goddard team is using an ultrafast laser to bond dissimilar materials, with the goal of ultimately eliminating epoxies that outgas and contaminate sensitive spacecraft components. 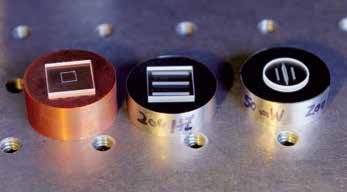 Shown here are a few samples (from left to right): silica welded to copper; silica welded to Invar; and sapphire welded to Invar. Photo courtesy of NASA / W. Hrybyk. 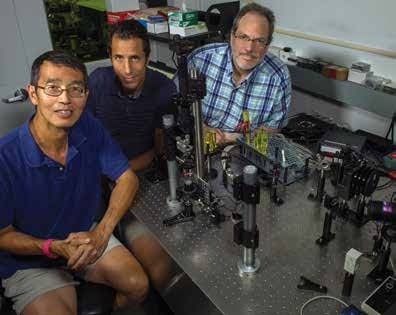 Steve Li (left), Frankie Micalizzi (middle), and Robert Lafon (right) are using an ultrafast laser to bond dissimilar materials and etch microscopic channels or waveguides through which light could travel in photonic integrated circuits and laser transmitters. Photo courtesy of NASA / W. Hrybyk.